Here are some things I do to stay healthy and maintain balance. Eat plenty of fruits and vegetables: Make sure to eat dark leafy greens with least 2 meals a day. I often in the form of green smoothies. I also snack on other veggies and fruits throughout the day. Drink water: Try to set a goal of 8 (8-ounce) glasses per day. Exercise: This is so important. I try to shoot for at least 30 minutes a day 5 times a week. It can be something as little as parking further away from the stores, or just taking the dog for a long walk. You can also find lots of free workout videos on You Tube you can do from home. Maintain a healthy relationship with food: You have to allow yourself healthy indulgences once and a while too. It’s all about balance. REBBL is the perfect way to do that. Their drinks taste good AND they are good for you! 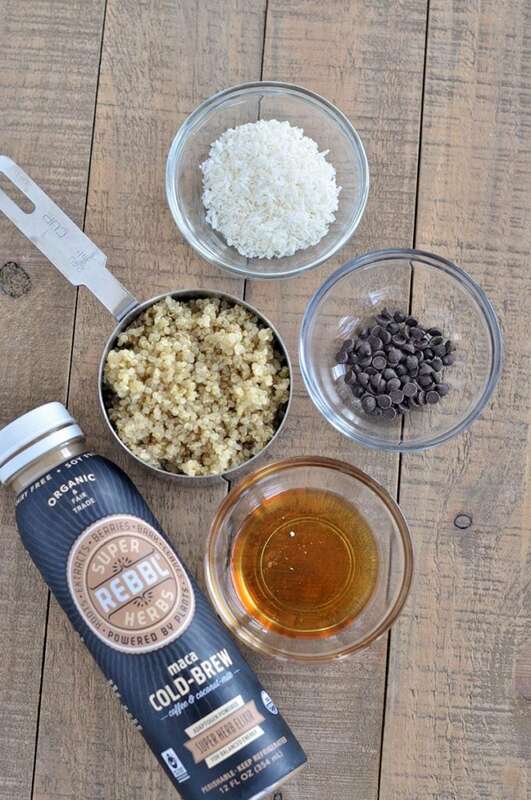 All REBBL coconut milk elixirs are organic, fair trade, dairy free, gluten free and they contain super herbs. 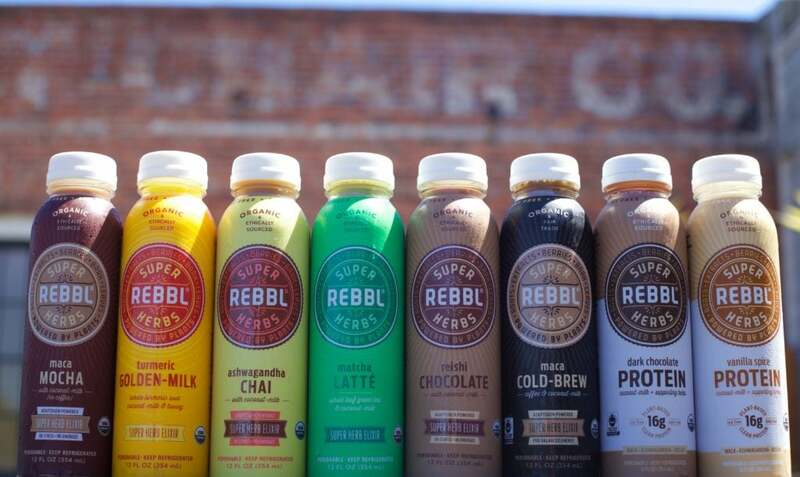 REBBL’s Maca Cold-Brew is made from Fair Trade cold brewed coffee, coconut milk and the super herb maca root. You can see the full ingredient list here. All organic ingredients. Maca is used to enhance vitality and stamina and it can also help balance hormones. Another great thing about REBBL is that they have direct relationship with the grower families through a fair trade program. So you really can understand where the ingredients come from. REBBL also donates 2.5% of revenue to Not For Sale to support regions that are vulnerable to trafficking and exploitation. So every time you purchase a bottle of REBBL, you are helping a good cause. To learn more about Not For Sale, you can click here. To find REBBL products near you, you can use their store locator. REBBL would like to give away 1 case of coconut milk elixirs to a lucky reader! Open to US residents only. To enter, leave me a comment under this blog post with your health tips! Giveaway ends on 1/29/17. Good luck! REBBL is also hosting their own New Year, Why Not REBBL? sweepstakes for a huge prize pack including a KitchenAid® Pro Line® Series Blender. You can enter that via this link. 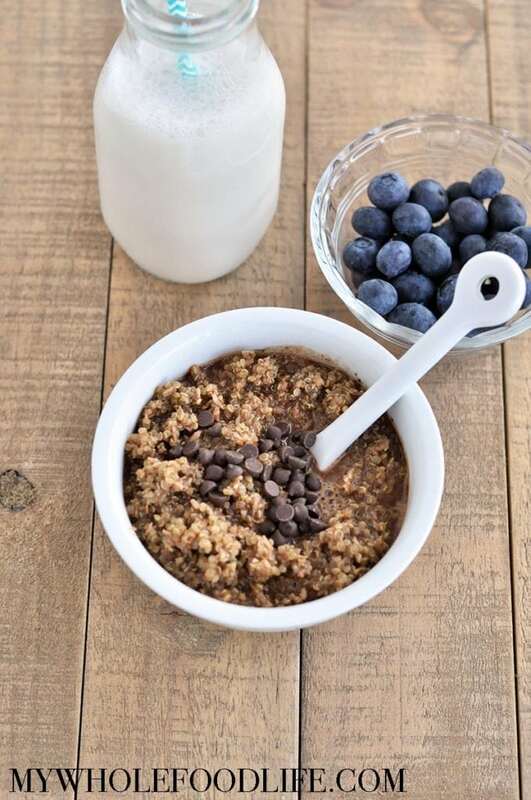 Enjoy dessert for breakfast with this Warm Mocha Breakfast Quinoa. Free of refined sugars. Vegan and gluten free. In a sauce pan, on medium heat, combine all the ingredients and cook only until everything looks well mixed. Serve immediately for best results. For best results, serve immediately. This can be stored in the fridge for 1-2 days. Enjoy! I have been eating breakfast everyday, within an hour of waking up. That way I definitely eat breakfast and it seems to make me feel fuller longer! This recipe looks great! My personal recommendations for staying healthy are to drink tons of water (I aim for a gallon per day!) and to avoid eating out/eating packaged food. I think it's important to know what exactly you're eating! I'm new to vegan eating. So far I've learned to add pineapple to kale smoothies to help cut the harsh kale taste. I would love to try these elixirs! I don't think they're available near me. My healthy tips are to try and get a little exercise every day, and cutting out processed foods. 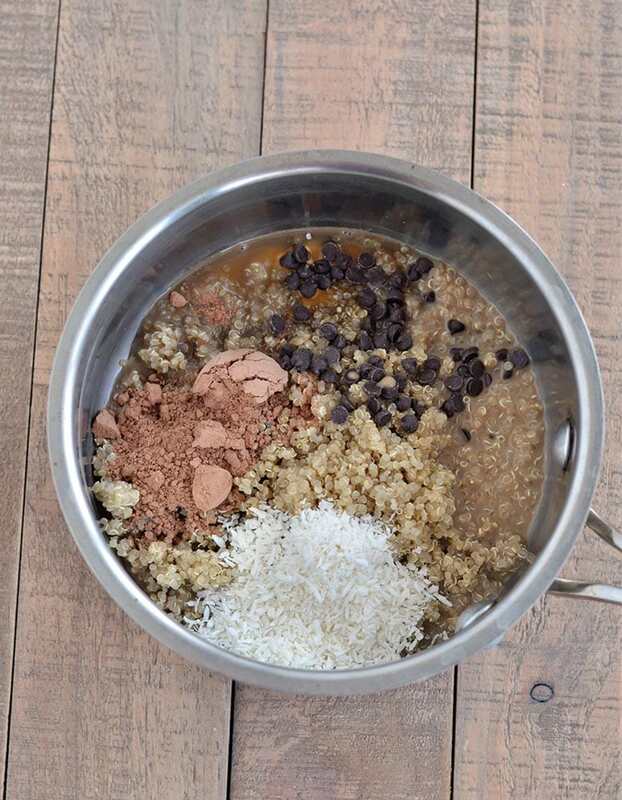 I would love to try this quinoa, as I don't buy sugary oatmeal packets for my kids anymore! My tip is start your day with vegetables. It's a great way to help with weight loss. It seems strange at first, but quickly becomes second nature! What can you substitute for maple syrup?! Would honey be the best? Thank you! Honey would work great too!